Administrative Wing: Headed by a Secretary. Tribunal Court: Headed by Tribunal for Disciplinary Proceedings & Special Judge. Directorate of Vigilance & Anti-Corruption Police: Headed by the Director & DIGP. Technical Wing: E.E (Technical) to assist the I.Os on technical matters. The State Government has also appointed the Secretaries of the departments and the Deputy Commissioners of the districts as Vigilance Officers in their respective Departments and Districts. The Vigilance Officers are to coordinate with the Vigilance Commission, in cases involving allegations of bribery, corruption, forgery, cheating, criminal breach of trust, falsification of records, etc. and also cases where it is alleged that the officer have acquired assets disproportionate to their known sources of income. The drive against corruption, therefore, depends on how seriously the Vigilance Officers undertake these tasks. All offences under the Prevention of Corruption Act, 1988. Section 406 to 409 IPC and 417 to 420 IPC. Section 471 to 477A IPC. All offences under the Official Secrets Acts, 1923. All offences under the Assam maintenance of Public Order Act, 1947. Attempts, abetments and conspiracies in items 4 to 5 above, by whosoever committed. Any other particular offence or offences that may be specified by the State Government. When, a complaint is received or information is received which may, after verification, indicate serious misconduct on the part of a public servant but is not adequate to justify registration of a regular case under the provisions of Section 153 Cr. P.C, a Preliminary Enquiry may be registered after obtaining approval of the Competent Authority. Sometimes the High Court also entrust matters to the State Vigilance Commission for enquiry and submission of report. In such situations also which may be rare, a ‘Preliminary Enquiry’ may be registered after obtaining orders from the Competent Authority. When the verification of a complaint and source information reveals commission of a prima facie cognizable offence, a Regular Case is to be registered as is enjoined by law. A ‘Preliminary Enquiry’ (P.E) may be converted into Regular Case (R.C) as soon as sufficient material becomes available to show that prima facie there has been commission of a cognizable offence or its discreet verification leads to similar conclusion, a Regular Case must be registered instead of a Preliminary Enquiry. It is, therefore, necessary that the Director must carefully analyse the material available at the time of evaluating the report submitted by Competent Authority of the Department so that registration of P.E. is not resorted to where a Regular Case can be registered. Where material or information available clearly indicates that it would be a case of misconduct and not criminal misconduct, it would be appropriate that the matter is referred to the Department at that stage itself by sending a self-contained note. K.T. Sukhalu, IAS (Retd) took charge of Vigilance Commissioner w.e.f. 30th March, 2015. 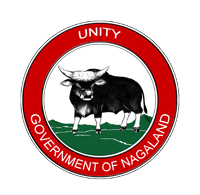 Workshop on “The Nagaland Govt. Servants Conduct Rules, 1968” and “The Nagaland Services Discipline & Appeal Rules 1967” was successfully conducted on 14th October, 2015 at the Vigilance Commission’s Conference Hall. Vigilance Awareness week was observed on 26th October, 2015 at the State Academy Hall, Kohima to mark the observance of the Vigilance Awareness Week from 26thOctober to 1st November 2015 under the theme “Preventive Vigilance as a tool of Good Governance ”. Vigilance Commissioner addressed the function followed by administration of pledge to all the members present. An Inter-College Debate Competition was organized for the college students. A total of 10 (ten) Colleges from Kohima participated and prizes were distributed to the best three participants. Commission officers attended “Training on e-Governance & Way forward” organised by the Department of IT&C in collaboration with e-Governance Academy, Estonia for IT Nodal Officers of all the Departments at Convention Centre on 30th November, 2015. Over the years with the economic liberalization coupled with Foreign Direct Investment in the Country, India has made an impressive growth in its economy. It may be mentioned that the introduction of flagship programmes, such as, MGNREGA, the RTE Act, NRHM, the Food Security Bill and many more flagship programmes of the Government of India has made an impact on the village economic conditions in the Country. However, it is our experience that such programmes are fraught with mis-utilisation and mismanagement. The remedy lies with the judicious utilisation of funds by the nodal departments which can affect an effective delivery system to the targeted group. Our analysis also shows that the number of complaints against corruption has come down but the amount of embezzlement has increased from few thousands of rupees to several crores of rupees. In the age of information technology the State Vigilance Commission is developing its own website to make information available to citizens and also to enable them register online complaints for speedy conduct of investigation into cases of corruptions. The Disciplinary Authorities must ensure the integrity of government servants working under their respective establishments and not depend solely on the Vigilance Commission & Anti-Corruption agency to check complaints of corruption, misconduct and misdemeanours of the public servants for omissions and commissions of offences in discharging their duties. No. of cases registered during March 2015- February 2016 :36 cases. 7 A.VIG-23/2015 Complaint against one BDO for drawing an amount of Rs. 17,29,120/- under MGNREGA from the public union Chingmei Village’s Account. Closed on refunded of the amount to the Union. 8 A.VIG-2/2014 Complaint against misuse of MGNREGS funds in Kikruma Village Closed on settlement between the 2(two) parties. 9 A.VIG-11/2015 Excess payment of Rs. 2.09 crore to lessee against the cost of energy generated from LHEP under Power Deptt. Closed as allegation of excess payments does not arise. 10 R.C.-1/2010 Verification of HSLC Admit Card & Mark Sheet in r/o one Supervisor, Sericulture Deptt. 1 (one) Supervisor convicted to pay a fine of Rs. 5000/- in default to undergo 1 year R.I.
12 R.C.-7/2008 Complaint against withdrawal of Rs. 82,25,000/- by one Contractor without execution of various developmental projects at Oting Village. Closed on completion of incomplete construction works. 14 R.C.-14/2010 Fraudulent drawal of Travelling Allowance (2008-2009) 1(one) Headmaster and 1(one) STO discharged from liabilities. 17 R.C.-1/2013 Complaint against procurement of false appointment order Allegation could not be established. 18 R.C.-14/2009 Complaint against 1(one) person for holding 2(two) posts 1(one) P/T convicted to pay a fine of Rs. 10,000/- in default to undergo 6 (six) months S.I. 20 R.C.12/2012 Complaint pertaining to Financial Assistance for construction of Margaret Shishak School of Music Building at Patkai Christian College, Chumukedima, Dimapur Prima facie not established. 21 R.C.-9/2010 Misappropriation of food grains meant for APL & BPL Beneficiaries Dropped due to lack of evidence. 7 A.VIG-1/2013 Non-completion of work for improvement of road from Mini Hydro Project Tehok-Chenloisho after a lapse of 6 (six) years. 11 R.C-21/2010 Forged signature of the appointing authority in the appointment order. 12 R.C-2/2014 Complaint against DTO, Zunheboto for issue of fake/fraudulent driving license. 20 A.VIG-02/2016 Complaint against non-execution of PMGSY road construction work. 37 A.VIG-29/2015 Complaint against PHE Department for misuse of funds under maintenance. 49 A.VIG-5/2013 Complaint against tampering of date of birth in the service book under NST Deptt. 69 A.VIG-20/2015 Assessing Authority did not consider the records of the Check Posts/ Mobile Squad while scrutinizing the Returns and passed the assessment order which led to an evasion of tax amounting to Rs. 63.53 lakh with an interest levy able of Rs. 59.26 lakh. 74 R.C-1/2015 Misappropriation of IEDSS fund meant for disabled students by School Education Deptt. 75 R.C-3/2014 Complaint against DTO, Wokha for issue of fake/fraudulent driving license. 6 Amount/material recovered i) Amount : Rs. 6,60,000/- (six lakh sixty thousand) only. i) Diezephe to Razhaphe-Road & Bridge. ii) Oting village- Retaining wall, Public toilet etc. State Vigilance Commission, New Capital Complex, Kohima.